There is an old-fashioned soup that always holds a comforting and cozy feeling within - chicken noodle! It's always good for whatever ails you. Chicken Noodle Soup is very quick and easy to make and by following this basic recipe, you can add other ingredients to make it your own. 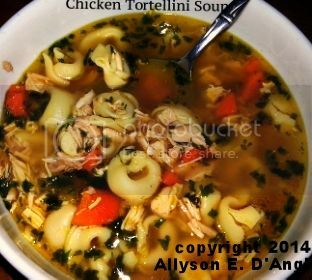 My version - Chicken and Cheese Tortellini Soup - keeps the traditional chicken soup in tact. Using farm fresh vegetables, cooked rotisserie chicken along with mini dried tortellini you can update this old favorite and make it more substantial. To make your chicken soup special, try some of my suggestions below after the recipe. 1. Heat the olive oil in a large pot over a medium heat on the stove top for 2 minutes. Add the onion carrot and celery along with the ground black pepper. Stir occasionally until the onions become opaque, approximately 8 minutes. 2. Then, add the warm chicken and vegetable broth to the pan. Cover and simmer until the carrots are cooked but not too soft. Add the chicken and cilantro cooking for approximately 10 more minutes and then add the dried tortellini. 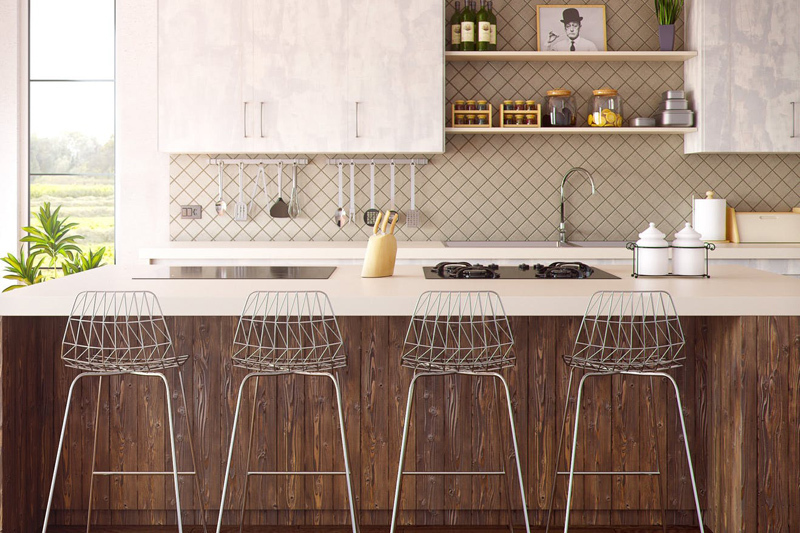 Cook until al dente. Serve immediately. This recipe serves 6 adults (2 cups per person.) However, if you have leftovers, the pasta will absorb some of the broth. So always have some extra standing by to dilute the remaining soup if you wish to take it for lunch the next day. Dried pasta and Legumes - Don't forget dried pastas and legumes expand (some almost triple) in size after being cooked, so don't be heavy handed on the amount you add to the pot. My dried tortellinis tripled in size in this recipe and soaked up a lot of the broth. If you use legumes (dried beans, lentils, peas etc.,) follow the directions for the quick soaking method on the package and then cook until desired tenderness. You can usually add lentils to any dish and cook from scratch, as they are small and don't take much time to cook. Having said that, I like to cook them beforehand and add them in last. Fresh Herbs - You have no idea how much flavor can come from a couple of handfuls of fresh, chopped garden herbs. For soups I love to use fresh thyme and oregano (earthy flavors,) basil (sweet,) parsley (fresh and peppery.) There are so many combinations you could use adding them into a soup. Try these out and add them along with the chicken in my recipe.